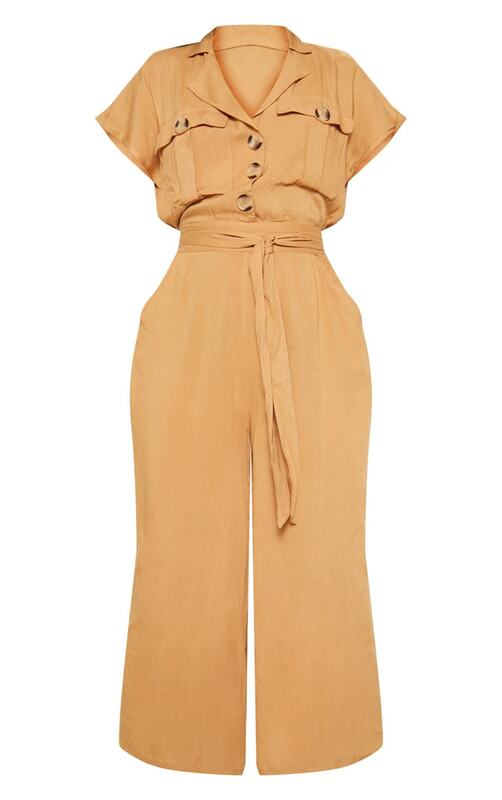 Nail this seasons utility trend with this jumpsuit. Featuring pocket detailing with tortoiseshell buttons and with a tie waistline. We love this teamed with printed ankle boots for a next level casual attire.